It starts with three colours and it ends with a rainbow! A funny and heartwarming look at being different and getting along. The Blues, Reds and Yellows live together in harmony. Reds are the loudest, Yellows are the brightest and Blues are the coolest. It’s all good. But one day, a Red pipes up: ‘Reds are the best’! Uh-oh. Suddenly the colours aren’t friends anymore. First they squabble. Then they stop talking. Before long, they’re all living in separate parts of town. But when a Yellow makes friends with a Blue, is there hope for the future after all? 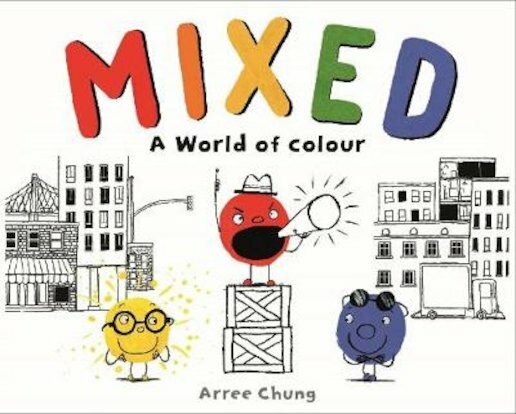 Arree Chung’s books include Ninja! and Ninja Claus!